Fine tuning best for BARKADAS chill-out place. Have you taken to consider the new hang-out place here in Davao? So far there are two working restaurants and a bar store great for week end to unwind and have good time. 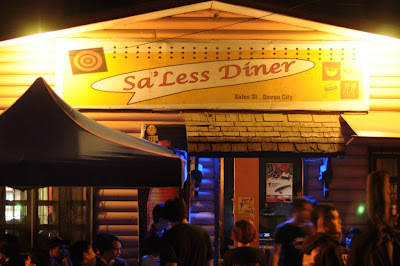 One is at BRICK LANE SQUARE located at Palma Gil St., and NOW the Sa'Less Diner and Moozika located at Sales St., Davao City. A block away from the Chimes specialty store, owned by couple Moshe and Adela Papica. It's place is simple plane diner as they open last February 2009, but re-open it to a new look as a place of night out and full of fun/gigs and music. 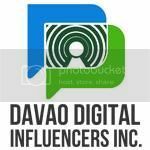 As Davao inclined for passion of good music, they continue to practice to open it's door to DAVAO MUSICIANS/BANDS to showcase their talents and offer their place, as a LOCAL MUSIC HAVEN. Witness a flood of people from different walks of life enjoying the local sonata with their beer. Drop by on a weekend and see for yourself what I really mean.